Would you like to become a Friend of “Centro Dino Ferrari”? Give to your research! 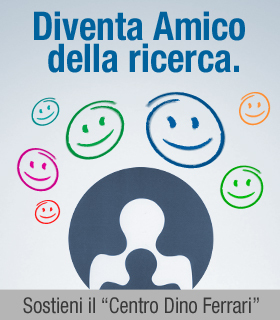 Become a Friend of “Centro Dino Ferrari”, you will join our big family of support and solidarity for scientific research and to be included in the list of “Friends” who in the past months have said YES to research.